With power comes responsibility. Is that from Spiderman? Is Corporate Tim Hortons Responsible for Actions of Franchisees? The importance of power and control in work law sometimes poses a dilemma for business. Often, businesses seek to arrange their affairs so as to avoid the application of protective employment laws to their relationship with workers. For example, they might draft a contract that says, “You are an independent contractor and not an employee”. The objective of that clause is to oust the application of employment laws designed to protect workers, such as employment standards laws including minimum wages, overtime, and vacation pay. Courts and tribunals know this game and they have frequently looked past those clauses and ruled that workers are employees notwithstanding the contract says expressly that they are not (see e.g. Braiden v. La-Z-Boy Canada) If an employer could avoid application of the entirety of employment protection laws by simply including in every contract with a worker an “independent contractor clause” then those laws would be meaningless. Therefore, businesses learn that in order to avoid employment protection laws, they need to actually relinquish control over the way in which the work is performed. But that is sometimes hard, because in fact the business wants control. Business leaders want the power of an employer, but not the responsibility. The Employer’s Dilemma: To Control or Not to Control? Consider a case I argued years ago. I represented an Ottawa taxi driver who had his throat slit by a ‘customer’ late one night. He suffered serious trauma and could never drive a taxi again. 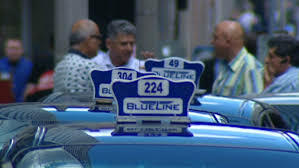 He claimed workers’ compensation after the attack, but was denied on the basis that he was a self-employed entrepreneur and not an employee of Blue Line Taxi, the company for whom he drove. I represented the employee in the appeal to the Tribunal. Blue Line argued that the worker owned his own car, set his own hours, paid all his own expenses, was not paid a wage, and treated himself as a business for the purposes of taxes. It claimed that all Blue Line did was provide a dispatch service for a fee. All this made the driver look like he was in business for himself. However, Blue Line had also insisted on enforcing a long list of rules against anyone driving under the Blue Line banner, including a dress code and a code of conduct for dealing with customers. Failure to abide by Blue Line’s rules could result in “discipline”. Because Blue Line retained consider control over how the work was performed, the Tribunal ruled that Blue Line was the driver’s employer and benefits were payable. Blue Line didn’t want to be the employer of taxi drivers, but it also wanted standardized rules to protect its brand. A similar issue arose in an interesting case decided this week in British Columbia called United Steelworkers v. Tim Hortons. The case involves a human rights complaint filed by the United Steelworkers union on behalf of a group of workers from the Philippines brought to B.C. under the controversial Temporary Foreign Worker Program to staff a Tim Horton’s franchise in B.C.’s interior. The case was filed against both the owner of the franchise where the alleged discriminatory conduct occurred (the franchisee), and corporate Tim Hortons who issues the franchises (franchisor). Here’s a good story describing the background. An interesting aspect of this case is that it was brought by a union that does not actually have bargaining rights at the store. This is the sort of good work that unions should be doing, representing vulnerable workers who lack voice outside of formal collective bargaining. Sadly, Tim Hortons argued that unions shouldn’t be permitted to advocate on behalf of vulnerable workers when they don’t have collective bargaining rights. The Tribunal does not directly address that argument, and so it may reappear as the case continues. The decision is a preliminary one, meaning that the Tribunal doesn’t decide whether Tim Horton’s actually discriminated against the workers. Rather, the issue in this decision was whether corporate Tim Hortons (the franchisor) could be held liable in human rights for the discriminatory actions of a franchisee. The Tribunal rules that it could. Corporate Tim Hortons argued that all it does is sell franchises and that the treatment of workers is the sole responsibility of the franchisee. In other words, Tim Hortons does not want to be liable for employment law violations committed by its franchisees. However, like Blue Line Taxi, Tim Hortons has a keen interest in protecting its brand. A rogue franchisee who commits grave violations of employment laws poses a threat to that brand. Therefore, Tim Hortons is not actually prepared to wash its hands of the employment practices of its franchisees. It retains control. For example, the evidence indicates that Tim Hortons helped arrange for the temporary workers, maintains a Tim Horton’s wide harassment policy, and conducts regular audits of the franchisees to check, among other things, human resources practices and legal compliance. In fact, it turns out that Tim Horton’s brought the hammer down on this very franchisee several months after the Steelworkers complaint was filed for employment standards violations. 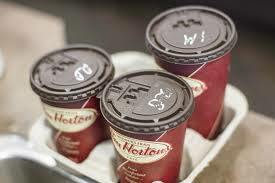 The Tribunal ruled that a franchisor like Tim Hortons can be held liable under the B.C. Human Rights Code for violations committed by a franchisee when it exercises sufficient control to influence the franchisee’s behaviour and yet fails to do so. Therefore, the case will proceed to a hearing. 1. Can you think of any arguments why a union should not be permitted to bring a human rights complaint on behalf of a worker of a non-union employer? 2. The franchise business model has been a target of worker advocates for a long time. The challenge is that individual franchisees (think coffee shops) often operate on very small profit margins and in an environment in which so much is controlled by the franchisor. The wealth and power often reside above the franchisee level, and yet work laws are designed to target the franchisee and not the franchisor. This dynamic makes it very difficult for workers to win sustainable improvements in working conditions, wages, and benefits. Can you imagine a way that employment standards laws could reach above the level of the franchisee and hold the franchisor responsible for compliance with legal standards?